PRE-REGISTER TODAY! LIMITED SPACE AVAILABLE! 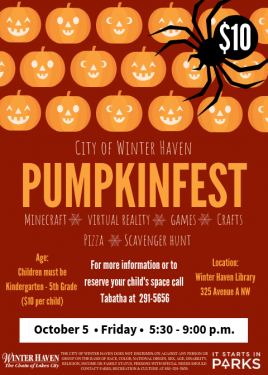 The City of Winter Haven Parks, Recreation & Culture Department will be hosting PUMPKINFEST at the Winter Haven Public Library Friday, October 5, 2018 from 5:30 p.m. – 9:00 p.m. This event is a fun night of games, activities, decorating pumpkins and dinner for school age children Kindergarten – 5th Grade. 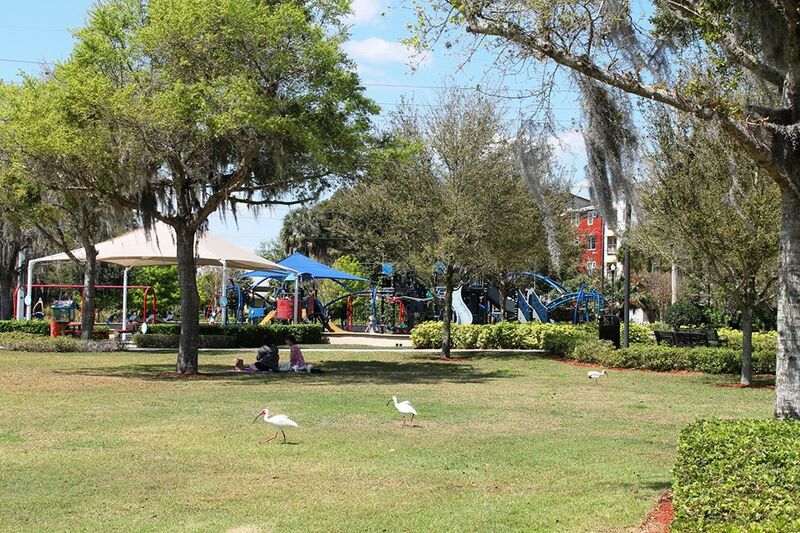 Parents for $10 per child you can have a date night or just some time off in Downtown Winter Haven with so many shops and restaurants to visit. For more information contact Tabatha at 291-5656.